Choosing the best computer memory for gaming isn't too difficult in most cases, and perhaps one of the easier parts to select for your system. It's also one of the simplest to install, too. Here we'll cover the important things to keep in mind when choosing the right memory for your gaming PC that'll make the most of your money and be compatible with your other parts. What is Computer Memory? Does It Affect Gaming Performance? If you're a brand spankin' hardware noob (we've all been there), computer memory, more commonly referred to as RAM (short for Random Access Memory), is the memory in a computer that's used to store your currently running programs. In general, the more and faster the RAM you have in your system, the faster and smoother your applications will run. As for whether or not memory affects gaming performance? Well, if you have a typical amount of RAM in your gaming system the simple answer is not really. Once you have a certain amount, more memory isn't going to help in most games games. We'll cover how much memory you should shoot for when building a gaming rig in just a sec, but let's first explain the types of memory for desktops. There are two main types of desktop computer memory to choose from when building your PC. There's the older DDR3 modules, and the newer but more expensive DDR4 modules. When building a new system the obvious choice is to always get the latest (DDR4), so stick with that unless you have a good reason or you want to save some cash and don't mind having the older type. DDR4 is faster than DDR3, but the difference isn't too crazy, so if you're on a tight budget and can find a good deal on DDR3 (and you also get a DDR3 compatible motherboard), or you're upgrading an older DDR3 system, then go for it. But yeah, for most builders, stick with the latest and greatest. If you're choosing AMD Ryzen as your gaming processor of choice though, you don't have a choice as Ryzen doesn't support DDR3. How Much Memory Do You Need for Gaming in 2018? Ah, the external "how much RAM" debate. Simply put, in 2018 you don't want to get any less than 4GB, which is the absolute minimum these days to not be held back by your memory in modern games. 4GB will be just fine to be honest if you're on a super tight budget and/or are mostly playing older, less demanding games, however 8GB is the ideal overall right now as it'll hold you in good stead now and over the coming years for the majority of modern games. Plus, some more-demanding titles right now even list 8GB as the minimum so keep that mind. That's assuming you're looking for the most bang for your buck though, and if you're willing to spend a little extra upfront on a more top-tier rig now to last as long as possible and to maximize performance in other non-gaming applications and multitasking, then go for 16GB. But when it comes to gaming performance, in the majority of cases you won't see an improvement from 8GB to 16GB, so 8GB is absolute fine to maximize gaming performance in practically every title right now assuming of course you have a good CPU and graphics card which are the more important indicators of performance. Does Memory Speed Affect Gaming Performance? Don't forget that as well as picking your size, with 4GB, 8GB, or 16GB being the common choices for a gaming computer in 2018 (any more is overkill), you also have to take into account the speed of your RAM which comes in different flavors as well. However, the amount/size of memory is the most important factor, and speed doesn't matter so much for gaming (in most cases) but it's important you pick memory speed that your motherboard supports. In general, you should get the fastest speed you can afford, however the speed isn't going to have too much bearing on most gaming situations. There's always exceptions to the rule though, and for example if you're picking an AMD Ryzen CPU - the speed of your RAM matters a bit more as Ryzen's do perform better with faster memory. In that case, add more weight to the speed of your memory and aim for 3000 or 3200MHz modules if you can afford it (and if your system supports it). Otherwise, the popular and value-for-money 2400Mhz or 2133Mhz speeds are going to be just fine for most gamers. But yeah, if you're NOT on a tight budget and building a high-end sytem, you may as well get the fastest you can. 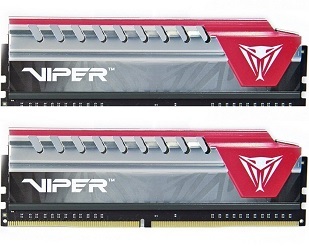 When buying the best computer memory for your gaming PC, you have the choice of getting a single stick (such as 1 x 8GB if you're going for 8GB of RAM), or you could get two sticks (2 x 4GB). The choice between getting 2 x 4GB vs 1 x 8GB (or 2 x 8GB vs 1 x 16GB) will depend on two main things - how many memory slots your motherboard has, and whether or not the board supports dual-channel memory. Price usually isn't a determining factor as getting 1 x 8GB or 2 x 4GB is usually around the same cost, although sometimes you may find a good deal on one or the other that may tip your decision. If you have a motherboard with only two RAM slots, you're most likely best off getting the single 8GB module as then you'll have one RAM slot free on your motherboard so you have the option to potentially add another 8GB module as an upgrade later on. As for dual channel memory, which simply refers to having two identical sticks (ie 2 x 4GB) which runs a little faster than having a single stick, you might as well go for this option if your motherboard supports it, and ideally if you also have 4 RAM slots or more so that you still have the option to upgrade to 16GB later. Just keep in mind that having dual-channel RAM isn't super important when it comes to gaming as the overall performance difference isn't big at all in most instances, but you might as well go for it if your setup allows for it to crank out a little extra performance. What Are Good Gaming Memory Modules to Buy in 2018? For specific recommendations on buying good bang for your buck 4GB, 8GB or 16GB modules right now see our monthly-updated best gaming PC builds series where we include our current top picks of the best sticks for different spending budgets. When it comes to choosing the best memory for gaming, the brand you pick isn't AS important as other parts, say, your power supply (pick a cheap PSU brand and you're asking for trouble). But there are some always reliable, top brands that you can generally always count on and that you should probably try to stick to if possible which include Crucial, Corsair, GSkill, and Patriot (hope I didn't miss any of the best). What About RAM for Video Editing, 3D Rendering, Streaming etc? Yup, you probably guessed it, these sorts of demanding non-gaming tasks and applications will generally require more memory than a gaming system and are definitely going to utilise any additional RAM you get that would generally be overkill for most gaming situations.